Home Celebrities The enchanting Sherry! We are all well aware of the wonders of makeup. The magical powers with which it transforms a person. But it takes years of hard work and practice to be “that” perfect. 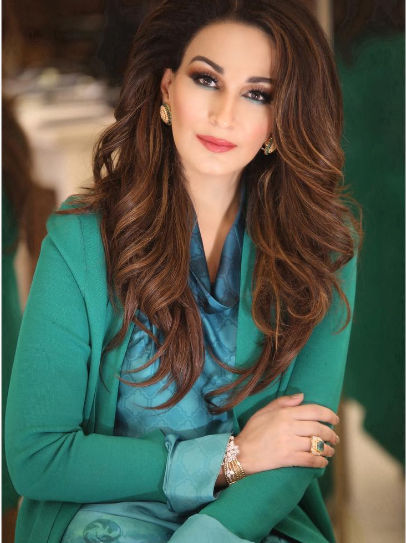 In a recent shoot done for HELLO PAKISTAN anniversary edition, Natasha did a marvelous job and completely transformed one of the prominent politician “Sherry Rehman” into a gorgeous diva. 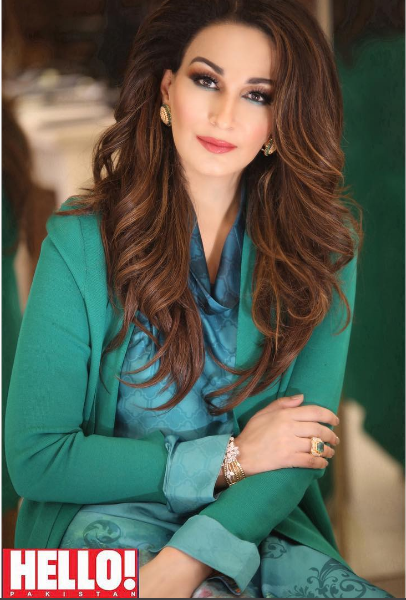 Dressed in aqua themed suit and perfectly dyed hair, Sherry looked a perfect idol of women empowerment. Even she loved her look thoroughly and praised Natasha for such an outstanding job. Check out some more candid shots of her! 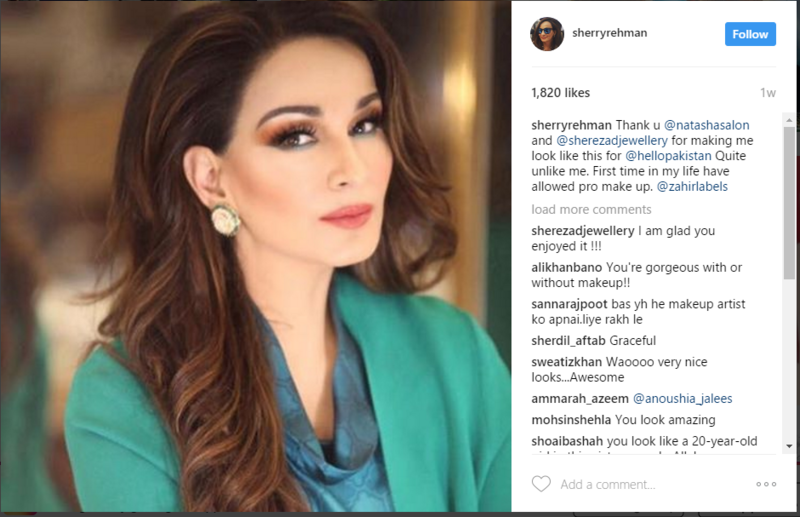 We wish Sherry Rehman a lasting and shining political career, just like these pictures!